SPC625A/SPC625B Platinum Resistance Temperature Detector. The SPC625A is a platinum resistance temperature detector that uses a JIS JPt100ohm element, while the SPC625B uses a JIS Pt100ohm element. 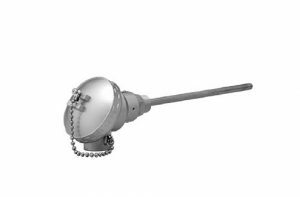 This is a screw-in temperature detector with a stainless steel protection tube. It is mainly used to detect the temperature of gas, liquid, and steam.